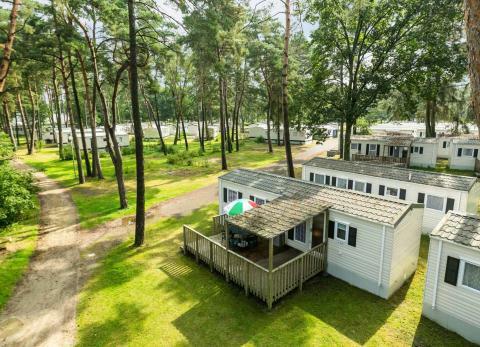 EuroParcs Resort De Kempen in Mol - the best offers! This price applies to 4-person mobile home/caravan Mobilehome, with the arrival as 6 May 2019, 4 Nights. 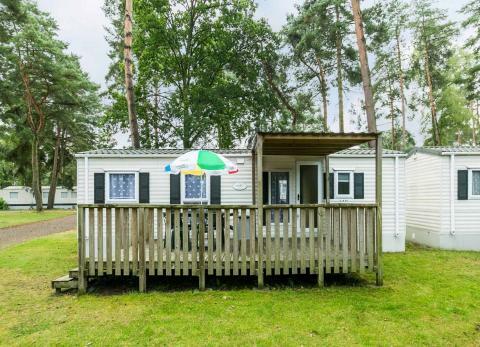 This price applies to 6-person mobile home/caravan Mobilehome, with the arrival as 6 May 2019, 4 Nights. This price applies to 8-person mobile home/caravan Mobilehome, with the arrival as 6 May 2019, 4 Nights. 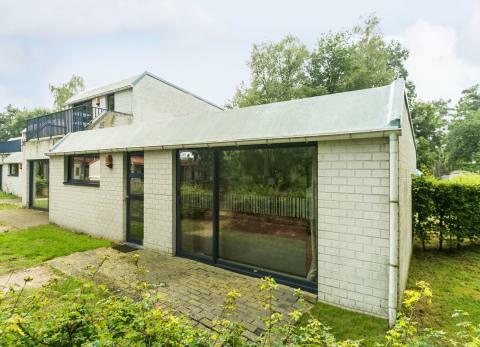 This price applies to 4-person apartment Kempen, with the arrival as 20 May 2019, 4 Nights. 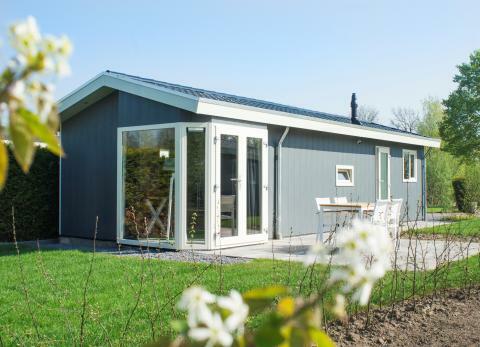 This price applies to 6-person apartment Kempen, with the arrival as 6 May 2019, 4 Nights. The holiday park has a small private beach where you can enjoy the sun while the children are building huge sand castles. If the weather proves not to be good enough for a beach day, then there is always the indoor pool. Let yourself be taken away with the rapids and exciting slides. For total relaxation, you can enjoy the sauna, jacuzzi or Turkish steam bath. At EuroParcs Resort de Kempen you can leave all your worries behind. If you want to be more active with the family, there are various activities you can undertake at the holiday park. Challenge each other for a game of mini golf or go basketball. You can also take the water with a pedal boat that you can rent at the park. In the indoor play paradise of the EuroParcs de Kempen, your children can climb and play to their heart's content. For the little ones, there is a separate area where they can play safely. In addition, your children can participate in the entertainment program throughout the year. They are full of exciting activities such as snorkeling, football, treasure hunts and children's bingo. The indoor pool with paddling pool of the holiday park is considered a special highlight for your children. Nobody can go hungry at EuroParcs Resort de Kempen. In the restaurant, you can enjoy an extensive dinner, and for smaller meals, we recommend the snack bar. End the day in a relaxed atmosphere and enjoy a drink at the bar of the holiday park. EuroParcs Resort de Kempen is located in the beautiful surroundings of the Antwerp Kempenland, where you can enjoy forests and heath. Mount your bike or put on your boots and follow one of the many cycling and hiking trails through the natural environment. The many ponds and lakes on and around the holiday park are ideal for fishing. Fancy a more lively environment? In less than 60 minutes you are already in the city of Antwerp (72.1 km). The ideal city for a day out. Visit the MAS (Museum aan de Stroom) and the Diamond Museum or make a day of shopping. Antwerp is known for its beautiful shopping streets. For a day full of adventure and fun, the children are at the right place in the Bobbejaanland amusement park (26.1 km). Roller coasters for all ages and guaranteed fun for the whole family.